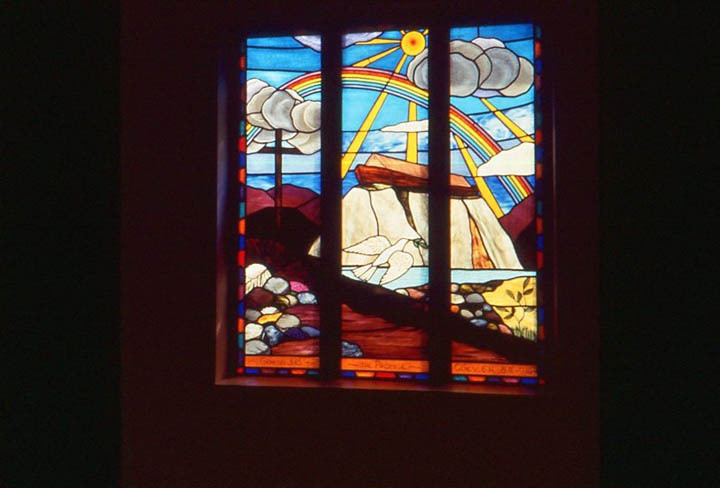 Brief Description of Subject: Rectangular window depicting Noah's Ark resting on a mountain. At left is an empty cross. A dove flies in center panel. Sun and rainbow over all. Made by John Vander Burgh, of Zeeland, MI.